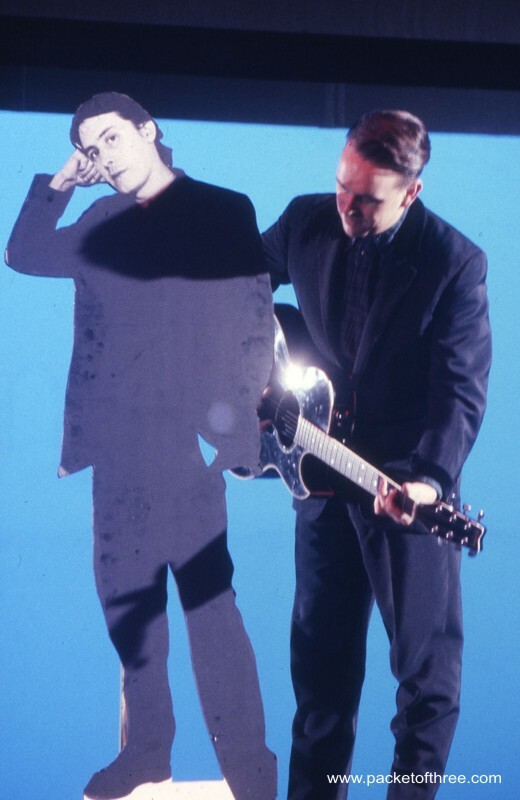 And a special bonus if you know why a member of Squeeze is represented by a cardboard cutout!! 3 Responses to "Mystery Squeeze Photo #14"
Ok, my two cents – Jools and Chris, 1989, Jools was on holiday for the video shoot? I’d say 1987 (or maybe early 88) during the 853-5937 video shoot. I agree with Pook. I think Squeeze started to become Jools’ second priority around that time. Mind you, I don’t blame him for missing this song!